A pre-approval is contingent upon verification of your income, debts and down payment. Once these three are satisfied, we will know for certain what you can afford based on lender (and insurer, if needed) criteria, and what your payments on a specific mortgage will be. We will also be able to lock-in an interest rate for you for anywhere from 60-120 days while you shop for your perfect home. 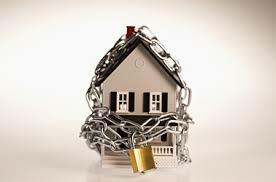 By locking in your rate, you are guaranteed to get a mortgage for at least that rate or better. In order to get pre-approved, we are required to fill out an application and to submit documentation to determine your buying power. The pre-approval document list is the same list required if you were buying a home, except at this point, there is no specific home in mind yet. Getting pre-approved for a mortgage is something every potential home buyer should do before shopping for a new home. A pre-approval will give you the confidence of knowing that a specific amount of financing is available, and it can put you in a positive negotiating position against other home buyers who aren’t pre-approved.